A detailed floral ditsy print in blush pink and navy blue. 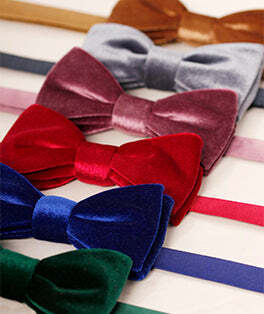 A long standing favourite amongst our customers here at Mrs Bow Tie, and for good reason too!! A beautiful design for weddings and summer soirees, but versatile enough to be worn to work as well, and always guaranteed to receive compliments!